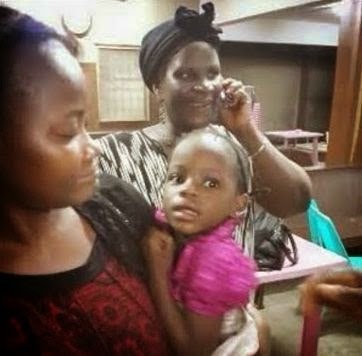 Little Oluwabunmi Ajelerowho that was kidnapped from her church, Surulere Baptist Church Lagos on Sunday April 19th has been found in Abeokuta, Ogun state. She was found yesterday April 20th and is now back safe with her family. The girl was kidnapped by two men who rode on a motorcycle and pretended to be worshipers in the church. They lured the little girl with Gala as she played with her mates in the church compound while her parents were in the church worshiping. The kidnappers came into the church through the main entrance but made away with the little girl through the church's back gate. 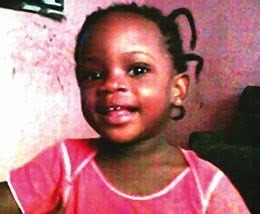 Lagos state Police spokesperson, Kenneth Nwosu confirmed the rescue of the little girl. 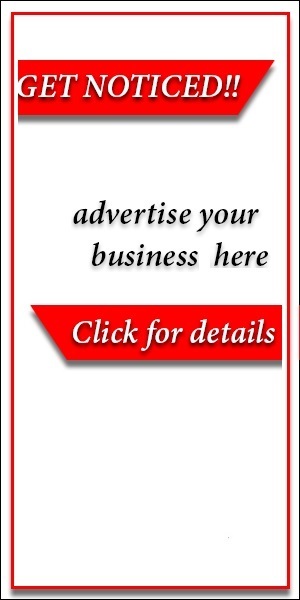 It is however not certain if the family paid any ransom for her release.